2017’s essay contest has been a tough competition. It was not easy to pick the winners from among more than 1,600 participants. Stories were heartbreaking, with much pain and sorrow. But authors also generously shared how they confronted the situation and were able to move on with their lives. Many stories were filled with some good advice on what to do when we are inevitably hit by a misfortune or have to endure a difficult ordeal. Finally, after some delay, we are able to announce the winners. Congratulations to all! 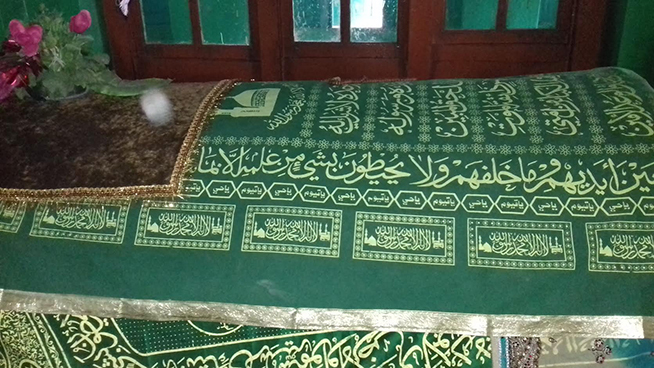 A couple of years ago, I paid obeisance at the shrine of Maulvi Mohi-ud-Din in Nihalpora, Pattan. Maulvi Mohi-ud-Din was my maternal grandmother's spiritual and religious mentor. Visitation at shrines and tombs was an integral part of my grandmother's religious experience, and I was keen on keeping the tradition, which my grandmother had cherished, alive. August 28 was the 50th anniversary of Dr. Martin Luther King, Jr.’s famous “I Have a Dream” speech. Attended by hundreds of thousands, it was a most memorable day not only in American history, but for all nations. Arguably, what was perhaps regrettable about that inspirational speech and the great gathering was that it overshadowed decades of dedicated struggle and suffering. Civil rights were not acquired by a speech nor by one march only. With all respect to the great memory of that day and Dr. King, we, the new generations of the twenty-first century, have to remember that the great heroes of the civil rights movement did much more across many years, all of which John Lewis summarizes in a single phrase: the art and discipline of nonviolence (visit the link to listen to Krista Tippett’s fascinating interview with him). Today, we remember 9/11 once again, our hearts broken. The Fountain 83rd issue was published in September 2011 to commemorate the tragedy in its tenth anniversary. With that issue, we wanted to honor the lost ones and hoped to elevate human dignity over our weaknesses and inclination toward violence. The innocence and purity of the essential human nature are still being violated today with all kinds of atrocities around the world – snipers and chemical weapons are shamelessly targeting civilians while smart phones are recording and delivering to the web. A Modern Day Dilemma: Should Every Educated Woman Join the Work Force? As much as we praise education for girls as a valuable opportunity in and of itself, higher education for both genders is somehow expected to bring money. When a college graduate decides to stay home to raise her family, not everyone cheers her for her decision. There are some who think that her education turned out to be a waste of money and energy because as a stay-at-home mother she has little use for it. Others comment on how fruitful her contribution to the wider society would have been had she exercised her profession. No account on pleasures of motherhood, nor any amount of reasoning on the part of the housewife can truly make her choice valid and laudable. What is Next for Smartphones?